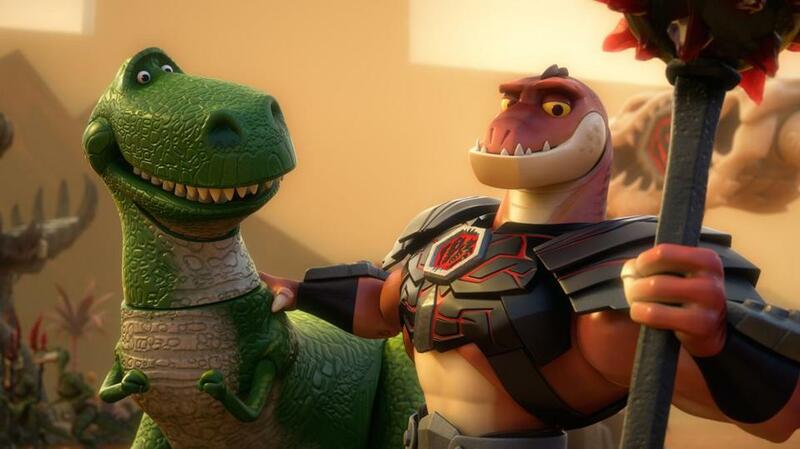 Rex and Reptillus Maximus, voiced by Kevin McKidd. So it was an easy yes when the “Grey’s Anatomy” star was asked to lend his voice to the new Pixar-Disney TV special “Toy Story That Time Forgot,” airing Dec. 2 at 8 p.m. on ABC. In the half-hour film, it is two days after Christmas, and Bonnie — the happy owner of Cowboy Woody (Tom Hanks), space ranger Buzz Lightyear (Tim Allen), and Trixie the Triceratops (Kristen Schaal), as well as the collection of other familiar toys — has a play date at her friend Mason’s house. While she and Mason are distracted by shiny new video games, her toys go off to make the acquaintance of his toys. This is when they run afoul of the Battlesaurs, who, not realizing they’re toys, believe that they should be having Roman Colosseum-style gladiator battles with Mason’s other playthings, much to their detriment. Reptillus is caught between his loyalty to his fellow Battlesaurs and his affection for the endangered interlopers, particularly Trixie. A guide to holiday TV specials by Globe television critic Matthew Gilbert. As it happens, the top of Reptillus’s head is red, which seems as if it might be an homage to the ginger-haired McKidd. The actor, who also gets to sing the comically over-the-top Battlesaurs theme song in the film, had help getting inside that skin from the Pixar animators. Even though he’s playing a toy dinosaur, you may be able to make out McKidd under that reptilian visage, since the voice sessions were filmed as a reference for the animators. “I can recognize quite a lot of my own expressions in Reptillus’s facial movements, which is quite disconcerting, I have to say,” says McKidd with a laugh. He also got to do something voice actors don’t normally do: record with his costar Schaal, whose Trixie becomes the apple of Reptillus’s eye. 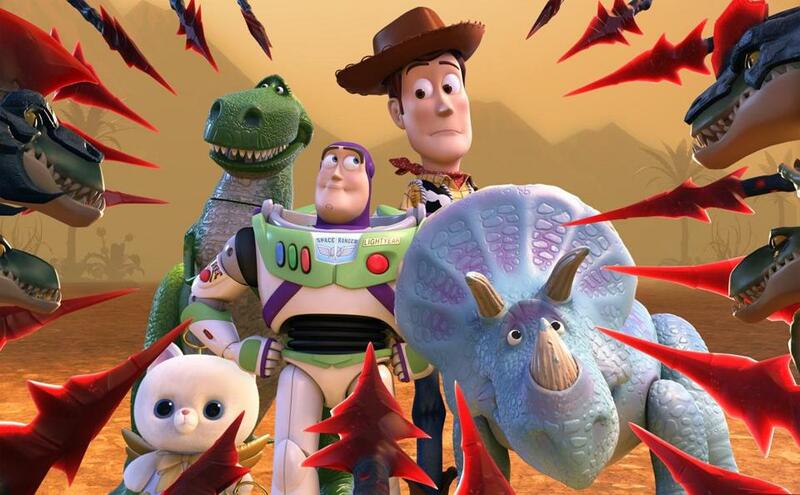 Rex, Buzz Lightyear, Woody, Angel Kitty, and Trixie the Triceratops. “They totally were their characters that day,” says Purcell, who pulled double duty, both directing and lending his voice to the Cleric, the nefarious overlord of the Battlesaurs who wants to destroy all of Bonnie’s toys. Following last year’s Halloween-themed “Toy Story of Terror,” producer Galyn Susman doesn’t rule out more TV adventures for the characters, who are slated to return to the big screen in a fourth feature film in 2017.